Sunde White Industries|Thank You San Francisco! There’s this weird thing that people in San Francisco do that I think is really condescending, disingenuous and gross but also funny and ridiculous. 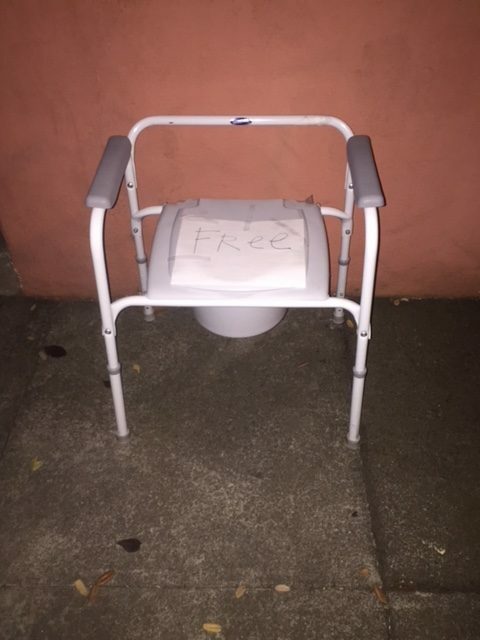 Instead of taking their old used filthy junk to the dump they pretend like they’re doing everyone a huge favor by offering it to us…for FREE! They throw their large pieces of trash onto the sidewalk, tape a FREE! sign onto it and walk away imagining that they are generous people when really they’re just lazy. 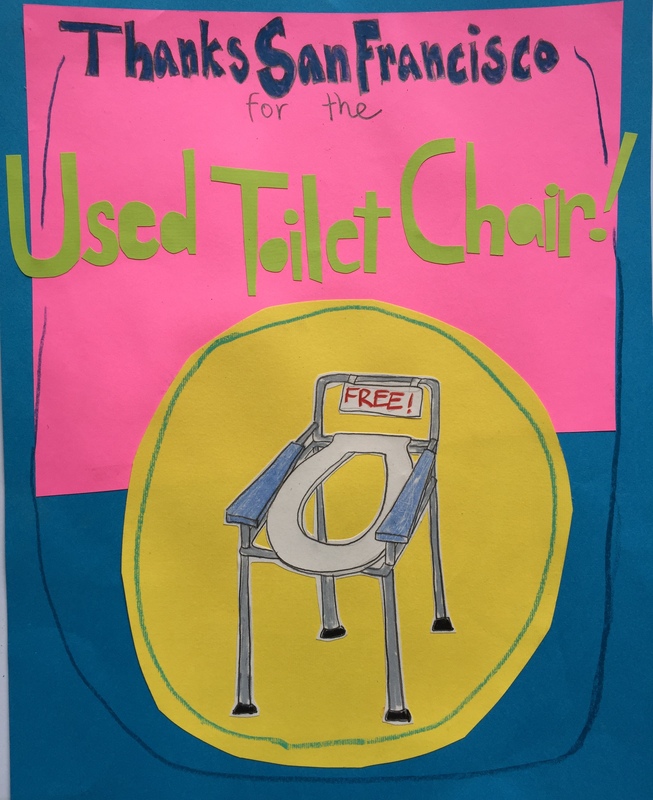 I think the best example of this was the used toilet chair that someone left out last year. I put a picture below to prove it. Thanks San Francisco!